Draft: 2006, Philadelphia Phillies, 3rd rd. August 2, 2014 Round Rock Express activated 2B Jason Donald from the 7-day disabled list. July 23, 2014 Round Rock Express placed 2B Jason Donald on the 7-day disabled list. July 10, 2014 Round Rock Express activated 2B Jason Donald from the 7-day disabled list. July 3, 2014 Round Rock Express placed 2B Jason Donald on the 7-day disabled list. June 21, 2014 Round Rock Express activated 2B Jason Donald from the 7-day disabled list. June 15, 2014 Round Rock Express placed 2B Jason Donald on the 7-day disabled list. May 28, 2014 Omaha Storm Chasers traded 2B Jason Donald to Round Rock Express. May 8, 2014 2B Jason Donald assigned to Round Rock Express. May 7, 2014 Omaha Storm Chasers activated 2B Jason Donald from the 7-day disabled list. April 26, 2014 Omaha Storm Chasers placed 2B Jason Donald on the 7-day disabled list. Strained left groin. April 3, 2014 2B Jason Donald assigned to Omaha Storm Chasers. 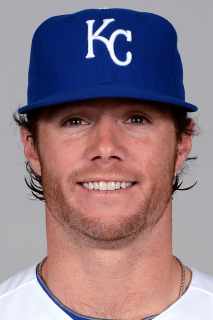 December 28, 2013 Kansas City Royals signed free agent 2B Jason Donald to a minor league contract and invited him to spring training. November 4, 2013 2B Jason Donald elected free agency. June 6, 2013 Louisville Bats activated 2B Jason Donald from the 7-day disabled list. April 28, 2013 Louisville Bats placed SS Jason Donald on the 7-day disabled list. April 4, 2013 Cincinnati Reds sent 3B Jason Donald outright to Louisville Bats. March 31, 2013 Cincinnati Reds designated Jason Donald for assignment. December 11, 2012 Cleveland Indians traded CF Shin-Soo Choo and 3B Jason Donald to Cincinnati Reds for Didi Gregorius and RF Drew Stubbs. August 9, 2012 Cleveland Indians recalled Jason Donald from Columbus Clippers. July 6, 2012 Cleveland Indians optioned Jason Donald to Columbus Clippers. June 30, 2012 Cleveland Indians recalled Jason Donald from Columbus Clippers. May 15, 2012 Jason Donald roster status changed by Columbus Clippers. May 12, 2012 Cleveland Indians optioned SS Jason Donald to Columbus Clippers. July 31, 2011 Cleveland Indians recalled Jason Donald from Columbus Clippers. June 20, 2011 Jason Donald assigned to Columbus Clippers from Akron Aeros. June 14, 2011 Jason Donald assigned to Akron Aeros from Columbus Clippers. May 11, 2011 Jason Donald roster status changed by Columbus Clippers. April 29, 2011 Cleveland Indians optioned SS Jason Donald to Columbus Clippers. April 25, 2011 Columbus Clippers sent SS Jason Donald on a rehab assignment to Akron Aeros. April 14, 2011 Jason Donald assigned to Columbus Clippers from Akron Aeros. April 10, 2011 Jason Donald assigned to Akron Aeros. March 30, 2011 Jason Donald roster status changed by Cleveland Indians. May 18, 2010 Cleveland Indians recalled SS Jason Donald from Columbus Clippers. March 20, 2010 Cleveland Indians optioned Jason Donald to Columbus Clippers. November 20, 2009 Cleveland Indians selected the contract of Jason Donald from Columbus Clippers. September 10, 2009 Jason Donald roster status changed by Columbus Clippers. August 20, 2009 Columbus Clippers placed SS Jason Donald on the 7-day disabled list retroactive to August 18, 2009. July 30, 2009 Lehigh Valley IronPigs traded SS Jason Donald to Columbus Clippers. July 28, 2009 Jason Donald roster status changed by Lehigh Valley IronPigs. July 6, 2009 Lehigh Valley IronPigs sent SS Jason Donald on a rehab assignment to GCL Phillies. June 13, 2009 Lehigh Valley IronPigs placed SS Jason Donald on the 7-day disabled list retroactive to June 12, 2009. Left knee inflammation.